“Crazy bad” is a good description when it reach those levels. 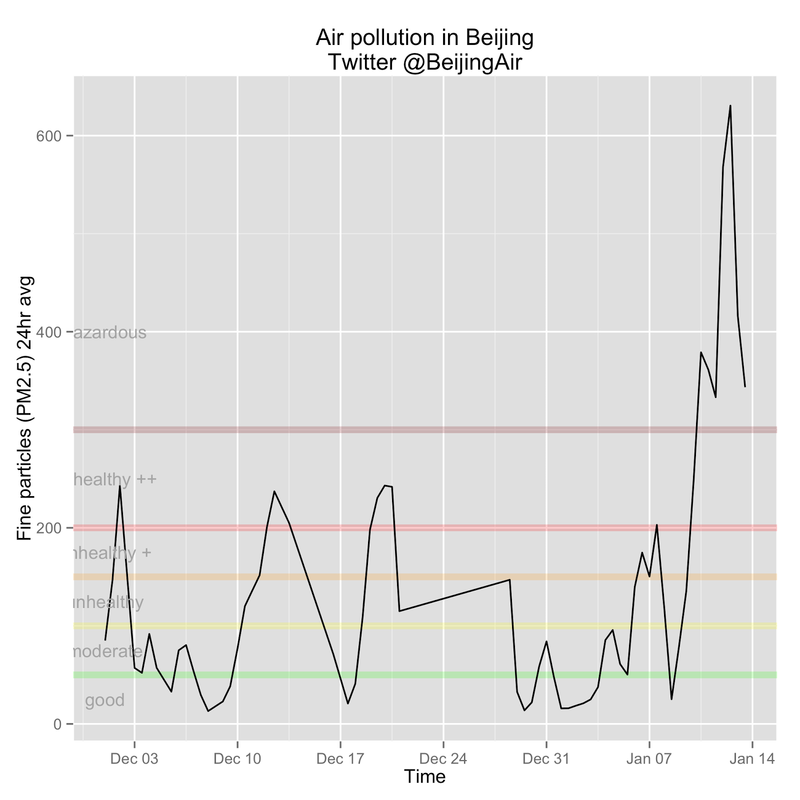 But I am sure there are other place like Mexico city, LA etc… that also look as dramatic as those number for Beijing. The fact that the machine is tweeting make the analysis so easy. I hope it keep tweeting and that other place in the world do the same.